LEGO Star Wars 2018 Set Discussion - READ FIRST POST! If you post news in this thread, it will not be transferred over to the 2018 News thread. Be smart, think about what you are posting and in what thread you are posting. This IS your warning! This topic is for 2018 discussion, not 2019, and not 2017. We will make a new topic when we feel it is necessary. If your post was on the boards, and now it's not...there is a good chance it was either hidden or moved. Off topic posts, placing info in the wrong thread, or a request from LEGO to remove something; these are all possible reasons why something may have disappeared. With regards to upcoming sets and rumors: Read at your own risk. This is a topic about potential items to be released. If you do not want to know, stay out of these forums. With regards to spoiler tags: These are not required and we will not force anyone to use them. Members may use them if they choose, but please try to be respectful of others. If a member used a spoiler tag, their intention was to keep something quiet; it was a courtesy to others. If you choose to comment on the contents of that spoiler tag, please refrain from publicly mentioning what the contents of the spoiler were. With regards to movies: We feel that two weeks is an ample amount of time for most people to view a movie. 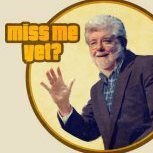 Once a movie is released in the US, we, the staff, will do all we can to curb the usage of spoilers in any of the topics in the Star Wars forum for two weeks. If you do not see the movie within two weeks, then you read here at your own risk. There has not been an official policy in the SW forum before, so when we have complaints, we need to look at them from all angles and deal with each one on a case by case basis. This will be our new policy going forward. If you did not agree with us in the past, so be it. From this point on, we will not police the threads unless something becomes an issue. We ask that members not minimod in the thread and tell others to use spoiler tags. If something is a problem, please inform the mods by reporting it. Any questions, please ask in the appropriate thread. This is the thread to comment on all of the news. Here, not in the other thread. Again, this is your warning. In b4 thread becomes a place of whining and fake news. Seriously though, thanks for the new setup. I suggest you lock the other thread. Thanks for the new setup indeed! I agree, locking the other thread and copying/moving news posts over there might be a good idea to avoid it becoming cluttered. I suggest you both discuss 2018 in here and please do not tell us what to do! There is still enough to talk about that pertains to 2017 so I see no need to lock the other threads. Looks like we are getting a new millennium Falcon microfighter with Chewbacca in the winter wave (from 2018 news thread) and a first order tie with pilot microfighter. Hopefully gives a cheap way for the special forces pilots to be acquired. Also jedi battlepack listed to include two troopers as well as the two jedi, seems like this could be a Geonosis type pack. Yay, new threads. I am following the news one, with no fear of a zillion emails a day! General Grievous' Speeder and Microfighter with Chewie? Awesome! I'm going to get them as soon as they'll become available. There is still enough to talk about that pertains to 2017 so I see no need to lock the other threads. a first order tie with pilot microfighter. Hopefully gives a cheap way for the special forces pilots to be acquired. Could it be that that's where the leaked figure is from? Some of the new figs being from microfighters would make a lot of sense. And I'm really curious where some of the figs we've seen and not seen yet would fit in (e.g. Tie Pilot, Hux, Phasma). Why so aggressive? Firstly, I was merely suggesting something, not "telling you what to do". Secondly, we were referring to the 2018 "news" thread, where posting stuff other than news is forbidden, sorry if that wasn't clear. Perhaps the Darth Vader constraction figure is sith Anakin. That's what I was thinking. Maybe interchangeable parts to switch between Anakin and Vader as well? Thank God, now ill be able to refresh the page everyday without going through the usual fights. Although having a page with no discussion feels very lonely. Still it's better than arguing all the time. Here's hoping to a good upcoming wave, although I hope that list isn't every set as it does seem like a very small wave. 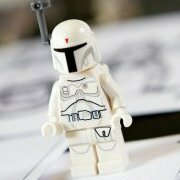 @Stash2Sixx: When someone sees a photo of a set or a minifig on some third-party site, which thread is the appropriate place to post about it? i.e., when someone wants to post "There's a new photo of XYZ over on reddit" (which I believe is allowed... right?) where does that go? News thread or Discussion thread? Since this is a new thread I want to ask you all nicely to stop openly redirecting people to reddit. It's bringing a lot of unwanted attention in the form of takedowns and immature users. You are more than welcome to PM users the source and you are definitely encouraged to post and discuss AS LONG AS you follow the posting and other rules. For those who have information and want to post it on the subreddit, please do so but first read the rules as well as the first post that is stickied. Your posts will be kept up as long as they adhere to rules but don't expect it to be your scapegoat to get away with things you arent allowed to post here. I've had enough drama, name calling and death threats for one wave and I don't need that kind of crap in my life over lego. Could the new Millennium Falcon Microfighter be based on The Force Awakens/The Last Jedi? I wonder if they will bring out the Geonosis flame troopers with this ? If you see news somewhere, go ahead and post it in the other thread. If you EDIT your post because you changed your mind or decided to cause drama...we will treat it as if you posted your thoughts on a new set in the wrong thread. Which everyone has already been informed about and Deathstroke77 used up the one freebie on day one!!! Yes, there are consequences. Also, don't just post because you want to be the first here with info and you found 'something' over on another site. If that info is false or crap, you will be held accountable for perpetuating the fake. I expect to ban a lot of members for their inability to follow our rules. To the rest of you...thank you so much for your opinions on how to run these 2 threads. But, we have a plan. @VaderFan2187 and @Alexastor, thanks, but we have put plenty of planning into this. If I lock the thread and all of the staff are away...no one is available to unlock the thread. You saw it as aggressive, I see it as direct; less chance for confusion. No need to discuss it here any further (VaderFan, if you quote me and respond in this topic, it will be your last). This thread, along with all of the others need to remain on topic. If you need to discuss stuff, please follow the rules and move it to the correct forum/thread/or a message. If anyone feels the need to continue these discussions, feel free to send me a pm and we can discuss further. If I feel it's necessary, I'll copy the conversation to the first post here. Again, the whole point is news in one topic so people can follow it easily and without 50 opinion posts in their messages, and all the other chit chat in here. Thanks. Now go and build something!!!! With 'Winter 2018' you mean december 2017/ january 2018 right? I was wondering why the Sandspeeder set is in the 2017 thread. A mistake? Or wil this set be released earlier or apart from the other sets? Winter, according to LEGO, are the releases in January of that year, so 2018. If winter items sneak out early in December, then they are still winter release sets, they just got out early. The info I have gotten in the past / I am given tells releases scheduled for the next 6 months. July, August, September, October, November, December; that's 6 months. So I have no info (given to me by my trusted sources) relating to winter (January) 2018 as of yet. That doesn't mean it's not out there (Russian info with confidential, illegal pics) but given to me, nothing. So yes, as far as I know, that Sandspeeder is set for 2017 December, apart from other sets, possibly a D2C set. Now, LEGO has a habit of changing the release dates whenever they want to. It's LEGO, they do what they want with their company no matter what! So if it changes, great, we update the info. As of right now though, December 2017 is what I know. I have heard from a LEGO rep, that this year as a company they will have a release of sets in December, that are being classified as a December release and not just January sets that happen to get to market early. Apparently this is a new strategy for LEGO and this is their first year of bringing new products to the market as a scheduled December release. According to your info this means we're getting 5 (!) TLJ sets in december: the Sandspeeder, 75197, 75200, 75201 and 75202. With TFA we got (apart from microfighters and battlepacks) two system scale sets in the winter wave: the Takodana set and the Resistance Troop Transport. I hope this means the Sandspeeder is an 'extra' set and we'll get 3 (or more?) system sets from TLJ. That's some very interesting information you received. I wonder why LEGO would do this but let's see how this works if proven to be real!